What Type Of Steak Is Healthiest For You? But by eating less fat and reducing your calorie intake, it does not mean that you have to compromise your love for steak. You can stay healthy and fit without omitting steak from your diet permanently. Controlling your calorie intake is always a good choice, whether it is supposed to help you lose weight or reach your healthiest self. But by eating less fat and reducing your calorie intake, it does not mean that you have to compromise your love for steak. You can stay healthy and fit without omitting steak from your diet permanently. Here’s how you can choose the healthiest type of steak for you to stay fit and slim. When it comes to choosing steaks according to low-calorie intake, the lean meat is always better. The U.S. Department of Agriculture has implemented an efficient system that helps us choose the healthiest of steaks, and lean steaks top their list. Lean cuts of steak contain much less fat, making it a better choice for both your heart and your cholesterol levels. A research study conducted by Colorado State University in 2012 states that a 3.5 ounce serving of lean steak contains only a minimum amount of fat and cholesterol that will help you lose weight and stay fit efficiently. Containing only 10 grams of fat and 95 milligrams of cholesterol, a lean steak can be your perfect companion for weight loss and gaining a healthy heart. An extra lean cut of steak contains as low as 4 grams of fat and 80 milligrams of cholesterol for every 3.5 ounces of serving. This can help you fight various lifestyle disorders such as obesity, congestive heart failure, and hypertension. According to the U.S. Department of Agriculture’s regularized beef standards, top cut steaks fall into the lean and extra lean steak category, which are the healthiest to eat. Approximately 30% of steaks that fall into the healthy and low-calorie choices include Eye Round, Bottom Round, Top Round, and Top Sirloin. Basically, the steaks labeled “Round” are the leanest of all steaks, making them the healthiest food choices. For preparing an even healthier meal option, you can choose a steak that has fat trimmed off before cooking. According to researchers at the University of Illinois’ McKinley Health Center, a study published in 2012 regarding the content of healthy steaks revealed that draining fat from steaks could lead to a healthier preparation. 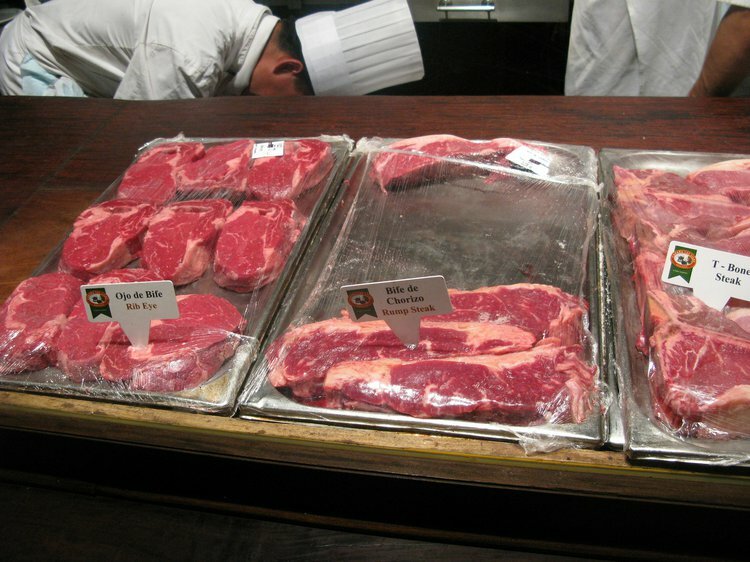 While choosing the healthiest steak options, the label can help you narrow down your choices considerably. Steaks labeled “Prime” usually tend to contain high fat content, putting your heart and general fitness at risk. By opting for steak cuts that are labeled “Select” or “Standard” instead of Prime Cut Steaks, you can cut down on unwanted calories and cholesterol intake. According to the standards regularized by Texas AgriLife Extension Service, “Select” and “Choice” marked steaks contain less cholesterol, making them a healthy food choice. These consist of practically a null amount of fat, rendering these cuts of beef as healthy meats. With the help of these important pointers, you can choose the bet cut of steak for you and enjoy a nutritious meal without having to worry about the unwanted calories and cholesterol intake harming your heart. Maynard, L. J., Hartell, J. G., Meyer, A. L., & Hao, J. (2003, August). An Experimental approach to valuing new differentiated products. In Contributed paper presented at the International Association of Agricultural Economists, Annual Meeting (pp. 16-22). Kennedy, O. B., Stewart-Knox, B. J., Mitchell, P. C., & Thurnham, D. I. (2004). Consumer perceptions of poultry meat: a qualitative analysis. Nutrition & Food Science, 34(3), 122-129. Scientist, N. (2009). Marinate your steak for a healthier meal. New Scientist, 3, 13.